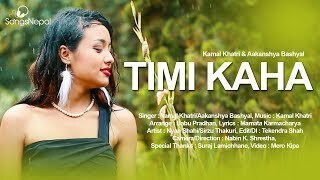 Kamal Khatri is a Nepali Pop singer and composer. He was born the 8th of Mangsir in Hetauda, Nepal to parents named Puskar Bahadur Gotame Khatri and Laxmi Devi Khatri. His academic qualifications includes a High School Diploma which he got from graduating from Ratna Rajya Campus, Kathmandu after his move to Kathmandu in 2059. He had completed his SLC studies in his school – Shree Chakra Janta Higher Secondary School. He has a total of seven family members where he has three brothers and a sister and his father works in a bank. Since he always had an interest in Music, he didn’t carry on with his studies. When he made that lifestyle choice, he had the full support of his family and friends since they felt he had great potential to be a great singer due to his melodious voice. His transition into the Musical Industry wasn’t a smooth one as he had to initially struggle in the beginning and work as a Technician in a studio instead of recording and producing his songs. In 2062, he had taken part in the Adunik Song Competition which was organised by Radio Nepal. 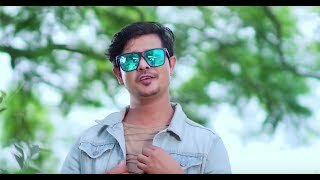 After that in 2063, he became part of the Nepali R’n’B & Pop band – Ethos where he was the vocalist. He then went to work as a solo artist when he released his first solo album which was titled “Pida” which he released in 2011. He has recently launched his second album – “Aatma 2” which is available in all music stores. His hit singles include the following; Tero Ra Mero, Timro Mayama, Bachne Aashama, Patthar, Aatma Ma, Ma Ta Mare and Tureko Mutu.